Want to start a Movement of your own? Get in touch to discuss becoming a partner. Part of what makes London special is the jumble of unique, quirky, human places shaped by local communities. Places that are distinctive. Places you want to explore. Places that make you love London even more. This initiative by the Mayor is aimed at creating more places like this – by helping Londoners to crowdfund innovative project ideas on Spacehive. Projects that boost quality of life and the economy. 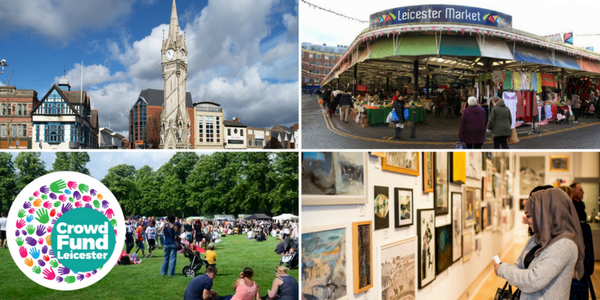 CrowdFundLeicester is all about connecting people, communities, businesses and resources to good ideas that will improve our City. This initiative is a great way to get people, including the City Mayor, to back your project idea and help make it a reality through crowdfunding. We are looking for great, exciting ideas to make Manchester a better place in which to live, work and play. Manchester City Council wants your ideas to create and improve spaces for everyone to enjoy. Have you got a great project to shape our city? Then upload your idea today! The GLL Community Foundation is here to support projects which encourage local people to be active, learn and play together– it could be organising a sporty tournament, improving a community library or creating a new sports league. Upload your project idea now for the chance to get a pledge of up to £5k. Tyneside Crowd wants to support local people to come up with projects which provide solutions to the challenges they face in their local area or to build on new opportunities. Projects that show local support are eligible to attract additional funding of up to £5,000 from Tyneside Crowd partners. West Sussex is full of people with great ideas who come together to make things happen to improve their communities. 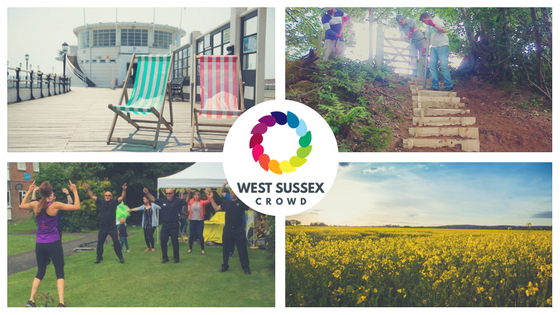 The West Sussex Crowd helps to connect those ideas that make a positive difference with supporters, to raise funds to make projects happen. There is a £330,000 fund associated with the West Sussex Crowd. 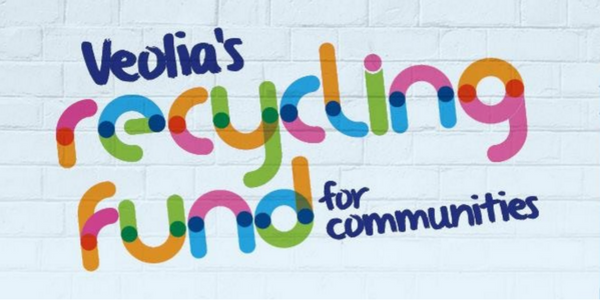 If your project inspires people to do the right thing with their waste, if you plan to make use of recycled or reused materials, or if it will help protect the local environment, we want to hear from you. Your project could receive a cash boost of up to £1000, as well as access to materials, equipment and even people to help get it off the ground. We want to grow a greener Britain by creating or transforming green spaces across the UK. We will fund inspiring ideas and help make them a reality, so whether you want to spruce up a community garden or build an aquaponic roof-top farm, we want to see your ideas! We are looking to make a change, and to make a stand – we want to kick against the climate of doom, gloom, and disaster. 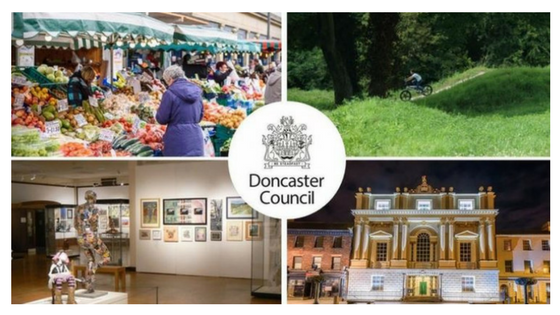 We know Doncaster is getting better all the time, but we can go faster, bigger, harder, and we need your brains, hearts, hands, energy and enthusiasm to keep it happening – to help Doncaster grow – and flourish. The City of London Corporation has a £30k fund with a maximum pledge of £5,000 available to support projects crowdfunding in Aldgate, whether they live, work, study, worship or play here. If your project fits our criteria, we may be able to help your crowdfunding campaign on its way. Do you love Wolverhampton? Are you proud of your city? We are looking for unusual, interesting and innovative ideas to make Wolverhampton even better. 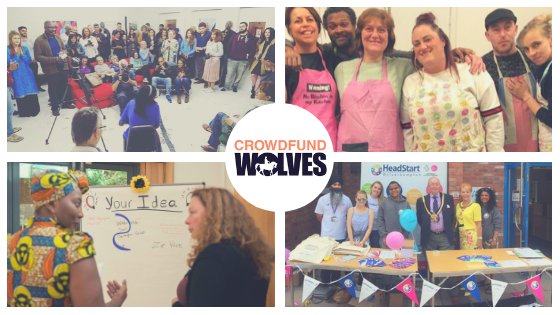 Crowdfund Wolves is a new platform that connects people, communities and businesses to everything they need to make their idea a reality. 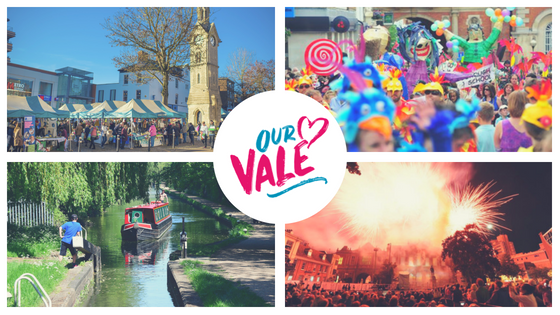 Our Vale is a new initiative to help make Aylesbury Vale the best possible place to live and work. By partnering with Spacehive, AVDC are coordinating support from the crowd to connect and empower local communities and help you shape the Vale for the better. 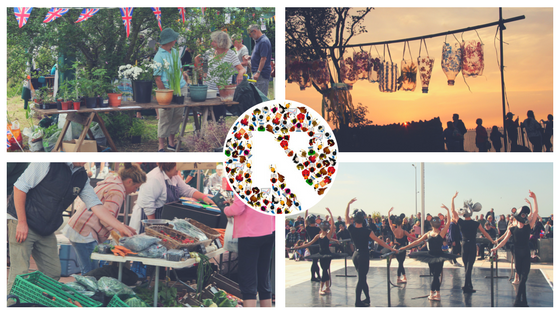 Crowdfund North Somerset is a new initiative to help make North Somerset an even better place in which to live, work, study and visit. By partnering with Spacehive we aim to provide a new and exciting opportunity for businesses, organisations and residents to come together to develop new ideas, channel energy and creativity and ultimately help us to grow the local economy. 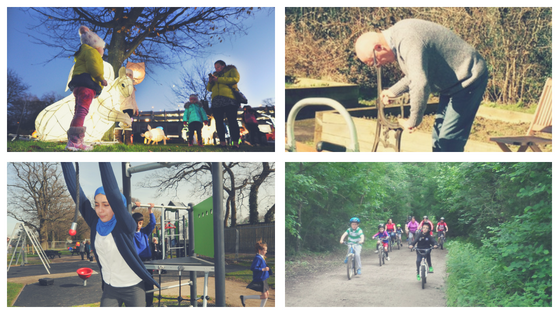 We want to help make your ideas for improving Barnet a reality. You know better than us what would improve the area in which you live, work or study. You know what activities would help bring your neighbourhood together to build community spirit and pride. These are the ideas we want to hear about and that we want to support with the Barnet Together Movement. 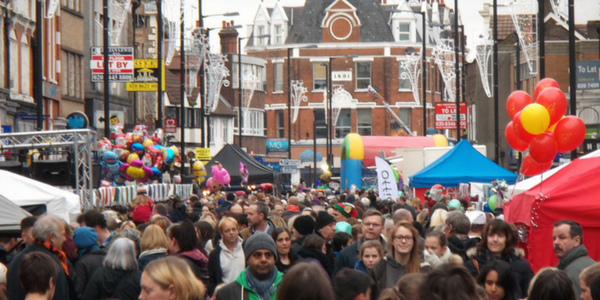 People who live in the borough of Hounslow have a strong sense of belonging to their local community. If you, your family, your neighbours or your friends have an idea to improve where you live, Our Hounslow is the best way to raise the money to bring your ideas to life. We have a fund of £50,000 available to support crowdfunding projects in the borough. We will pledge up to £5,000 per campaign. Working with Spacehive, the UK’s dedicated crowdfunding platform for places, the RSA aims to champion campaigns that seek to benefit communities. We want to harness the creativity of our Fellowship to have a positive impact on the places that matter the most to them. The Crowdfund Crawley initiative provides a new and exciting hub for the residents of Crawley to develop and share creative and innovative projects that will benefit the local community. We want to make Hull a city to be proud of, a great place to live and to visit. Upload your ideas for Hull here, start crowdfunding and you could receive a pledge of up to £5k to help you achieve your goal! 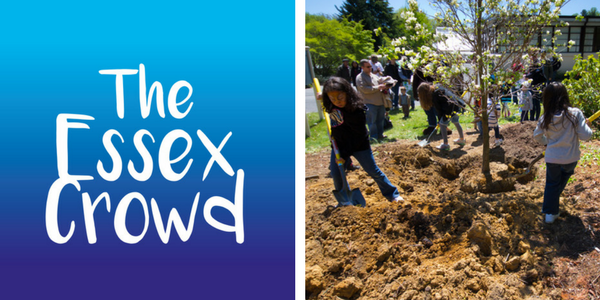 The Essex Crowd is a new crowdfunding initiative where you can share your community idea and offer neighbours, local businesses and other interested parties the opportunity to pledge their support to make your idea a reality! Do you love your town? Do you have a great idea you’d like to see happen but need more people to get involved? Then this is the place to share it. Warwickshire Together is just that – bringing people and businesses together, in the towns of Warwickshire, to create and deliver exciting new projects which will help make it THE town to visit. Use Warwickshire Together to share your idea, attract funding and get more people involved. The Exeter City Futures crowdfunding initiative is supporting our communities to develop local solutions to the issues facing our city and create impactful change and a more sustainable Exeter. We are looking for great ideas that address Exeter’s challenge to reduce congestion and energy use and to make Exeter and the surrounding region a better place to live, work and play. Got a brilliant idea for York? Need some funding or support ? York Hive is a fantastic way of creating an inspirational project, which the whole city can help fund and then benefit from. York Hive invites you to create a Project or back a great idea. We know our residents are at the heart of what makes Hyde neighbourhoods special, so we are looking for creative crowdfunding projects to make your area an even better place to live. Show us your exciting, community-backed projects and we will help promote the best. Transform where you live and add your project today! The aim of Our MK is to support local communities develop solutions to local concerns, using technology or data. By using Spacehive and supporting crowdfunding projects, we hope to fund many more! The Westway Trust Hive is an online platform to support projects delivered in Kensington & Chelsea that will make a demonstrable impact in our priority areas of health, economic opportunity and cultural diversity. We are also keen to encourage local groups to work collaboratively in bringing proposals together. If you’ve got a project idea simply upload it to Spacehive, set your funding target, and join the Movement! Enfield Now is an ideal platform to help people promote and deliver exciting community projects in Enfield. Whether you are part of a local organisation, community group or are a local resident – this is your opportunity to get your brilliant idea off the ground and make it reality – with the help of crowd funding. Our new initiative, Spaces for Change is about improving unused or under used spaces within a community. We want to find, fund, support and connect with young people aged between 16 and 24-years-old. Have you got a great project to shape your community? Then upload your idea today! Ealing Connects is the exciting way to help people shape Acton, Ealing, Greenford, Hanwell, Northolt, Perivale & Southall through crowdfunded projects. The programme is designed to fund projects that bring open and urbanised spaces (back) into use for the general public. We will be looking to support as many schemes as possible by encouraging you to match fund at least 50% of your project’s costs. There are pledges of up for £5,000 available and £10,000 for exceptional projects. Whatever you have in mind, this is the time to start to talk to your friends, your neighbours and your local community and get them on board to support you. Have a great idea? Add a project to Ealing Connects and help make it a reality! 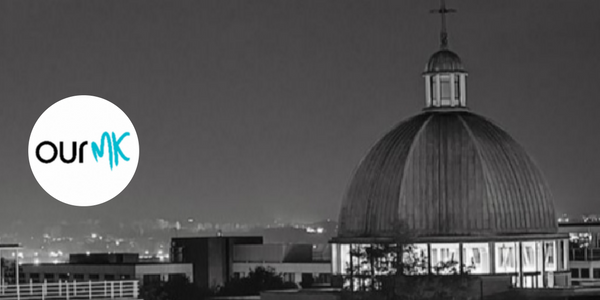 Lewisham is a diverse and exciting borough with many challenges & opportunities. It benefits from a great number of creative organisations & vibrant communities with innovative ideas for making it a great place to live & work. The Movement provides a vehicle for developing new ideas and channeling energy & creativity. BT has teamed up with Spacehive to provide a package of co-funding & support to help hard-to-reach communities get fibre broadband infrastructure quickly – and in a way which is affordable for everyone. This initiative is currently in beta testing mode. Islington Hive is a great way of creating an inspirational project which the whole local community can help fund and then benefit from. If you have a great new idea simply add a project to the Islington hive and you’re on your way to making it a reality. Hackney is full of exciting community projects looking for donations and investment. By making a pledge here, you can help make them a success! Welcome to the London hive! London Councils has created this hive to bring together the diversity of London Spacehive community projects. Maybe you can match your personal passion, good investment sense or corporate social responsibility programme with a local project to create better places and spaces for Londoners. The Heart of Experian Charity Fund was set up to help small groups who need our support in tough financial times to become more sustainable. The passion of these smaller groups, along with their determination to make a difference in their local communities, encourages us to fund many exciting civic projects. The borough of Camden is one of London’s most buzzing and diverse places. Yet residents and those who work and play here sizzle with ideas to make it even better. Use the Camden Hive to attract the money and in-kind help you need to make your idea real. Ideas need to be costed, in Camden, and open to the public. LifeSkills improves young people’s life chances and confidence by equipping them with the key 21st century skills. We’re using Spacehive and crowdfunding to get young people running campaigns that develop skills such as marketing a project, writing press releases, creating videos, & pitching to local businesses. Welcome to The Kensington and Chelsea Hive – an exciting opportunity to allow you to make local civic projects a reality. Share your ideas today! To enhance the local communities surrounding GSM London campuses and also to enrich the lives of our students through undertaking rewarding civic projects. This is a place for the people of Southwark to come together and demonstrate their ideas for the borough, using crowdfunding to turn these ideas into real life civic transformations. Brent Hive is all about fun, fresh, new and innovative projects to celebrate the rich diversity and mix in the borough. Through crowd funded projects, we want local communities to help shape their local area. Itching with a great idea? Add a project to Brent’s hive and help make it a reality! Welcome to the Hammersmith & Fulham hive! This hive offers a new and creative way for the community to shape the borough through crowd funded projects. Post your project today and start to make it a reality! We want to create a vibrant and sustainable community at The Timberyard Deptford. A place for residents to come together to enjoy the great outdoors, meet with neighbours and be part of a long lasting community. Upload your project idea and let’s transform The Timberyard together! Crowdfund your event right here on Our Big Gig’s Spacehive page and get a £200 pledge from us! Check out the details below to get started. Locality believes communities are places of possibility and Spacehive offers an exciting new way of delivering change you want. This initiative will combine Locality’s expertise with the power of crowdfunding to put you in the driving seat of neighbourhood planning. We’ll launch soon so get in touch to take part! The Intelligent Community Challenge brings together UK councils, university students and local communities to develop intelligent and innovative LED lighting-led solutions to urban challenges through the medium of a UK-wide design competition. Voluntary Action LeicesterShire is a place that gets people into volunteering, helps community groups and organisations thrive and provides essential services. Have you got fantastic ideas about how to improve the quality of life of your local community but do not know how to fund it? The Redbridge Hive will show you how to raise funds and attract in-kind support to deliver projects in Redbridge and the Council could make a contribution to your project to make it happen. Ever shrinking public funds and changing retail are causing our town centres to suffer. Shopping centres increasingly play a central part in community infrastructure and regeneration. We want to take this a step further and partner with all local stakeholders to inject innovation into our town centres.